age 69, of Blanchester, Ohio, passed away after a short stay at the Hospice of Cincinnati on Thursday morning, February 7, 2019. He was born August 7, 1949 in Booneville, Kentucky, son of the late Harold & Carmie (Couch) Maynard. A 1968 graduate of Clinton-Massie High School, he was a member of the Waynesville Masonic Lodge #163. He was an avid muscle car enthusiast. Surviving are his wife- Mary F. (Simonson) Maynard of Blanchester, OH; daughter- Susan (Randy) Boldman of New Vienna, OH; son- Clay (Freda) Jones of Midland, OH; grandsons- Xavier McDill, Alex Jones, Andrew Jones, Kaisen Jones, & Braxton Helm; granddaughter- Shyann Boldman; and 2 brothers- Dan Maynard & Harless (Jennifer) Maynard, both of Waynesville, Ohio. In addition to his parents, Paul was preceded in death by his daughter- Rebecca Maynard on January 28, 2019. 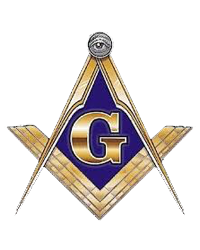 Masonic Services will be held 12:00 Noon, Monday, February 11, 2019 at Fisher-Edgington Funeral Home, 97 West Locust Street at North Mulberry Street, Wilmington. Following the Masonic Services, Paul's Funeral Service will begin. Interment will follow in the Clarksville Cemetery, Clarksville, where he will be laid to rest beside his daughter. Friends will be received from 11:00 AM until the time of services at Fisher-Edgington Funeral Home on Monday, February 11. Contributions in Paul's memory may be made to the Hospice of Cincinnati. To sign the online guest book, go to edgingtonfuneralhomes.com.